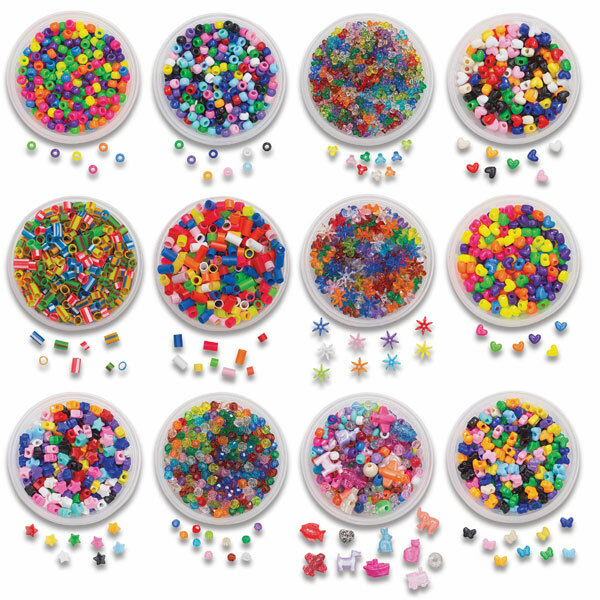 Hours of fun and dozens of projects wait inside this bead-o-rific box! 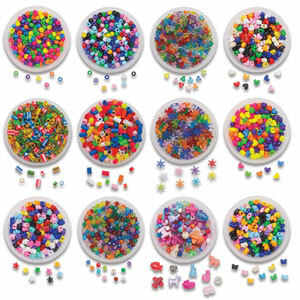 The treasure box includes more than 3,500 beads total, in 12 buckets of assorted colored beads. Even beading thread is included, so kids can make bracelets, necklaces — anything they can imagine.